Only 61% of marketers believe their marketing strategy is effective. Are you one of them? 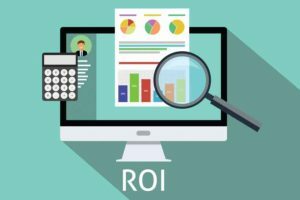 Many marketers struggle to measure and prove the ROI of their marketing efforts. These challenges make it even more difficult to evolve past ineffective strategies and also maximize ROI. 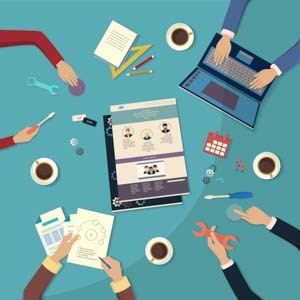 If you’re tired of trading marketing resources for vague results, it’s time to take a closer look at marketing resource management software. Digital Asset Management. Also known as a DAM system, Digital Asset Management provides a secure portal for file storage. Users can upload, store, and share everything from brand logos to orientation videos. Best of all, a DAM system makes it easy to find files quickly and easily through simple or complex searches. Product Information Management. Images and videos aren’t the only assets that can be stored in MRM systems. Resource management tools also provide a platform for hosting detailed product information. Varying permission levels make these critical files available to different IT teams, independent distributors, salespeople, and more. Brand Stores. Brand stores give users the ability to order branded items easily. Transparent billing and vendor integration ensure users get exactly what they need when they need it. Web-to-Print. Print on demand services simplify and streamline the print production process. Web-to-Print services from BlueSky ETO even offer local vendor integration, variable data printing, and automation for direct mail and printed marketing materials. Robust ROI Reporting. You can’t learn from your marketing successes and failures if you don’t understand what caused them. That’s why detailed reporting is a key feature of any effective MRM system. Robust reporting can also be used to measure key metrics related to e-commerce sales, brand portal activity, direct mail distribution and more. Budgeting and Planning Tools. Use the knowledge you’ve gained through detailed reporting to improve your marketing strategy. Budgeting and planning tools make it easier than ever to maximize marketing ROI. Now that you know some of the most popular resource management tools, you can begin to form a picture of how the right MRM system impacts marketing outcomes. 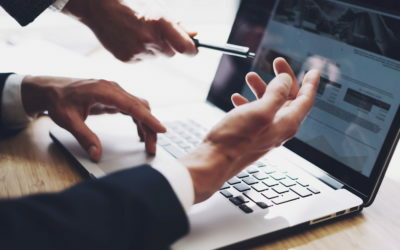 To truly understand the power of marketing resource management software, let’s take a closer look at some major MRM benefits. Not long ago, marketing resources were guarded by a complicated hierarchy of gatekeepers. Local stakeholders had to request each piece of marketing collateral. Optimizing ads and displays for local markets required lengthy rounds of edits and endless email chains. Thankfully, MRM systems arrived and completely changed this dynamic. Fortunately, designers, marketers, franchise owners and other local stakeholders now have the power to execute targeted, effective campaigns. With marketing templates, local stakeholders can customize collateral for their local markets. They can also take advantage of web-to-print abilities and vendor integration, ordering their printed collateral at the click of a button. There’s no need to rely on lengthy approval processes. With expert marketing resource management software, local stakeholders feel empowered to take charge of their marketing campaigns. When marketing materials are more relevant to local audiences, response rates rise. MRM software also offers a variety of personalization options. These options leverage technologies like variable data printing, customer engagement tracking, and automated marketing campaigns. These technologies create a customer experience that’s personalized at the highest level. Consider this: 77% of consumers have chosen, recommended, or paid more for a brand that provides a personal service or experience. It’s no surprise that when customization options rise, profits follow. Marketing resource management software also offers valuable insights into sales and engagement. Detailed reports paint a clear picture of which marketing strategies are working, and which approaches should be reevaluated. Armed with these insights, brand managers have the power to evolve their approach. Additionally, they’ll learn more about their customers, their market, and even their employees. High-quality MRM systems can even lead to major print production savings. Print-on-demand options let store managers and franchisees select only the materials they need when they need them. Local vendor integration saves brands money on shipping and lets them choose the vendor who offers the best value. Best of all, comprehensive Brand Marketing Centers replace the need for multiple marketing resource management tools. Instead of paying more for dozens of separate software subscriptions, brands rely on their BMC for an all-in-one solution. Your brand image is only as strong as it is consistent. As your brand grows, so will your number of stakeholders. Designers, marketers, salespeople, and franchise owners are just some of the people capable of building or damaging your brand image. The right MRM software will give them the tools they need to follow brand guidelines and uphold brand compliance. Take marketing templates, for example. Managers of MRM systems can decide which elements of these templates are fixed and which can be edited by users. When logos, approved fonts, color schemes and other branded elements are locked in place, it’s easy to ensure brand guidelines are met. Brand portals and digital asset management systems also ensure outdated marketing collateral stays in the past where it belongs. Assets like brand style guides and marketing graphics are easily updated. Approved users across the globe have immediate access to the latest version of each file. It’s just one of the reasons why brand managers who hate micromanaging love using MRM software. What’s holding your marketing production back? Many marketers point to their approval process as a major culprit. Thankfully, MRM systems help simplify the approval process. Digital asset management assures updated files are always available. 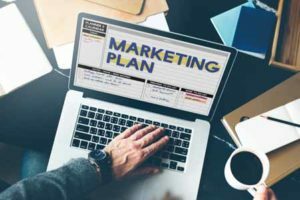 Marketing templates provide brand-approved materials without the need for multiple design projects and rounds of edits. Even the production and delivery of direct mail printed collateral, and e-commerce items improve thanks to a fully-integrated and streamlined digital portal. But what if your production bottlenecks don’t end there? That’s where time-management modules come into play. These tools can track workflow progress and provide updated records of each team member’s participation. When a major project seems like it’s stalling, MRM software identifies the hurdle so your marketing team can work together and overcome it. Do you know where all of your data is stored? Each office PC, personal laptop, and USB storage device opens another door for data corruption. Files can be lost, corrupted, edited incorrectly or even shared with third parties. Additionally, employees may purposefully steal company data. It happens more often than most companies realize. 85% of employees said they took company documents and information they had created. 30% of employees admitted they’d taken company documents and information they had not personally created. 25% of employees reported taking source code and patent filings. 35% took customer data, including names, phone numbers and email addresses. 85% admitted to taking company strategy documents and presentations. 20% who were laid off or fired indicated they would be more likely to take data out of anger. They also claimed they would be more likely to pass it to a competitor. What drove these employees to commit data theft? 90% named the primary reason as the simple fact that their employer did not have a policy or technology in place to prevent them from doing it. Marketing resource management tools help provide that technology. With MRM software solutions like a brand marketing center, files and sensitive company data are protected by a secure digital portal. Individual users have their own secure logins. This makes it easy for managers to follow their activity and know which files they’ve accessed and downloaded. Additionally, managers can use varying permission levels to decide which files each user can access. These features do more than increase liability and speed up production times. They also help protect brands from the kinds of data breaches that have cost major corporations millions in recent years. In other words, the freedom to innovate can literally change our brains. Imagine the fresh perspectives this could create for your marketing team! As production rates and marketing results increase, the size and scope of your business will too. 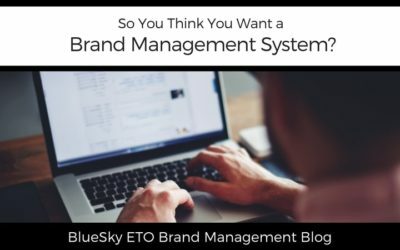 Fortunately, marketing resource management software from BlueSky ETO will grow with you. Add users, templates, files, modules, and even marketing resource management tools to meet the needs of your growing business. 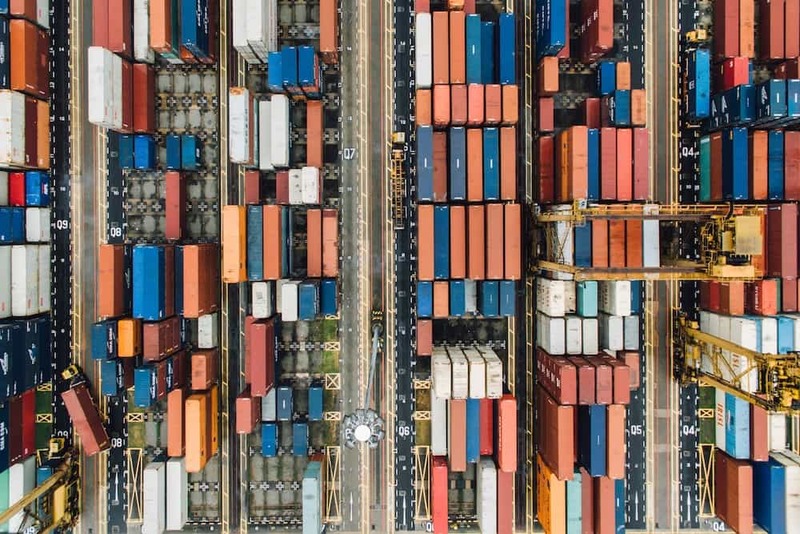 With scalable solutions, you can continue to rely on a central MRM system instead of piling on additional pricey apps and tools. Instead, maintain a streamlined system that keeps your marketing campaigns running smoothly. Ready to maximize your marketing results? We’re ready to help. Schedule your free brand consultation today to learn how we can engineer a custom MRM system around your brand’s needs. 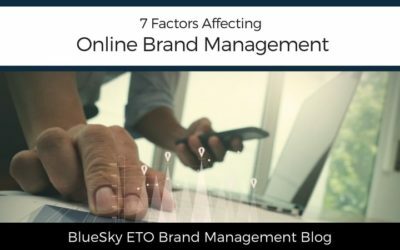 Is your brand using marketing resource management software? Learn how MRM systems can transform your strategies and maximize your marketing ROI. I think effective marketing is something many small businesses struggle with, this software sounds very useful. I’ve never read anything like this before. Very good information here. WOW!! This sounds like an excellent way to improve productivity in your business. I always want to learn how to better market my blog. Thanks for sharing these tips. This post is very interesting to me since I have a small business and the marketing issue always gives headaches. 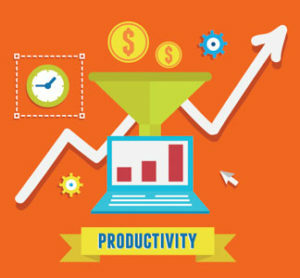 It sounds like a great way to improve productivity in your business. I’ve always been familiar with CRMs but not MRMs. This is a great breakdown on something I’m now interested in. This software sounds great. I think that it will benefit any busy to promote marketing. I’ve never heard of this before – just CRMs. This was definitely an interesting read. That is a really great way to get work done. Thank you for sharing with us! Now these sound like some great ways to help marketers up there income and resources! Thank you so much for sharing. I’ve never heard of this software. thank you for bringing it to my attention. Seems like it would be a great asset. I had no idea all the benefits of a software like this. Thank you for sharing, I am going to look into this as I think it can really help me. I always like to learn about new marketing ideas. Your article was very interesting I learned a lot. Now I”m wondering if I need marketing resource management software. I’ll have to look into it a little more. I wasn’t familiar with the term MRM. Very interesting post! Such a truly informative and well written post. I’ve never really considered MRM Software but perhaps it’s time to five it a bit more thought. There are so many helpful tips and tricks in this article. This is a fantastic guide. Very informative read about MRM. I been hearing a lot about it lately , but never really paid attention, now I’ll do more research. I wasn’t familiar with the MRM term. We’ve used CRM solutions for a long time, but this is very different. I have never seen anything like this before. I really need to look more into something like this for marketing. Great article! There is always room to learn something new about marketing. This post does just that. Using the right MRM software is certainly important for any business. I like how you can add to it to meet the needs of your business as it grows. I like that there is a secure digital portal, too! Excellent to keep in mind for both my personal businesses as well as my career. Very thorough information. I always love learning about new business tools. I like that it can take place of other business tools also. This seems like a great resource for businesses. I was shocked by the statistics regarding employee theft of resources. This is out of my league, at the moment, but will keep this in mind as my business continues to grow. 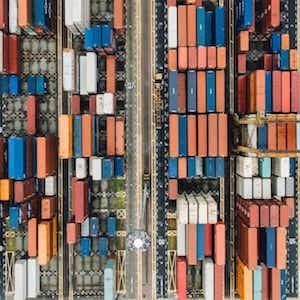 This is a great list of information and resources for companies wanting to expand and grow their business. Very helpful! While I am not a marketer per say, I do try and “market” myself, however, I feel like I do a pretty HORRIFIC job at it!! I certainly need HELP! This is such an interesting post. I have been trying to learn more about marketing. Very interesting post! It’s a great post of start up companies to learn and grow their business using the marketing side. One can always learn new things. It is important for companies to learn new things to be able to grow. Is very interesting! I’m in the middle of starting a new business and maybe something like this could help me with the marketing side.